"The Borgata has an amazing way of creating excitement around their poker opens," shared Renata Colache. "Borgata events are so great because of the turnouts & the general environment of the casino," said Haberman. "I’ll be playing pretty much every no-limit hold'em and pot-limit Omaha event on the schedule," Stout stated. To the delight of players in the United States, especially those near New Jersey, the Borgata Poker Open and the first-ever PokerNews Cup in North America are just around the corner in September at the Borgata Hotel Casino & Spa. As has been the case in the past, the 2016 Borgata Poker Open, which takes place from September 6-23, will attract players from around the world thanks to a full schedule of low and high buy-in tournaments featuring huge guarantees including a handful with at least a seven-digit guaranteed prize pool. The highlight of the 19-event poker festival will be the six-day televised World Poker Tour (WPT) Borgata Poker Open Championship running from September 18-23, where for a $3,500 buy-in players will be hitting the felts hard in hopes for a lion share of the at least a $3 million in guaranteed prize pool. PokerNews is obviously as excited as the players with the series also featuring our very own PokerNews Cup featuring a $2,150 buy-in on September 20-21. The Borgata is one of the best places on the east coast, and easily the best place to play poker tournaments in the Garden State. In addition to the great poker action, the casino provides one of the best experiences available anywhere. BorgataPoker.com pro Matthew Stout couldn't agree with this more. "The Borgata runs some of America’s biggest tournaments of the year and they seem to just keep growing," Stout shared with PokerNews. "They have one of the most comfortable poker rooms I’ve ever played in with over 80 tables. They have amazing restaurants, buffets, and an all-new food court. They also have a 5-star hotel and to say they’re the nicest casino/hotel in Atlantic City would be a vast understatement. There aren’t even many Las Vegas properties that can compete with Borgata. I’ve been a regular at Borgata for over a decade since I turned 21 years old and even after I moved to Las Vegas at 23 I never stopped showing up for several Borgata events per year. They’re one of the last remaining 'can’t miss' stops on the US tour." Former top-ranked online tournament player in the Garden State according to the PocketFives New Jersey Online Poker Rankings, Michael "JohnnyDrama" Haberman Jr also believe the great staff contributes to an overall positive experience. "Borgata events are so great because of the turnouts and the general environment of the casino, it's a nice casino, and the staff always treat the players great," Haberman Jr explained. 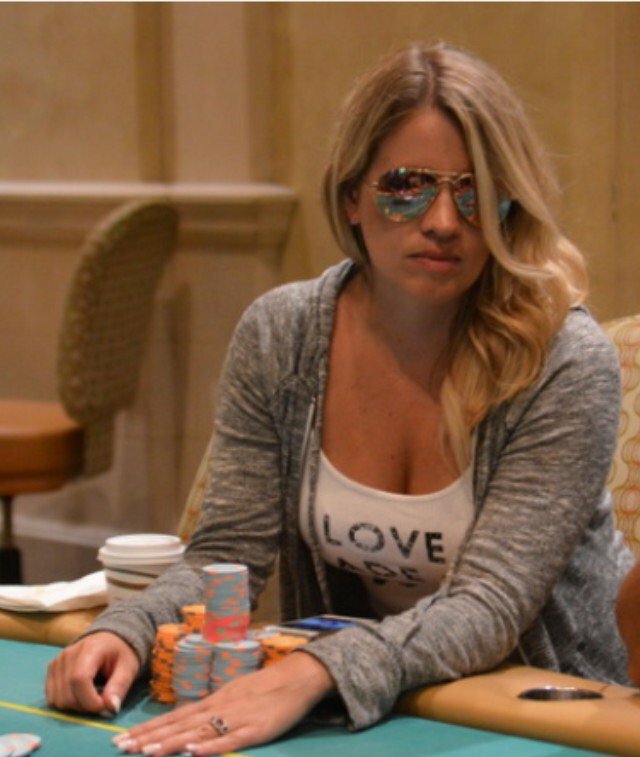 Renata "TaintedMaverick" Colache has also played in numerous Borgata Poker Opens, including the most recent 2016 Borgata Summer Poker Open in July. She agrees with Stout and Haberman Jr about the Borgata creates excitement while adding that the bloggers and tournament directors also help create a great experience. "The Borgata has an amazing way of creating excitement around their poker opens," Colache said. "The staff, dealers, bloggers and tournament directors are first class. They provide a great mixture of structure and quantity of tournaments. In addition, the convenience of the accommodations and ambiance is the best in Atlantic City." Stout plans to make the most of his trip to New Jersey. "I’ll be playing pretty much every no-limit hold'em and pot-limit Omaha event on the schedule," Stout stated. "I love big field, small buy-in tournaments and have a good track record in them so I always look forward to the $560 Borgata Deep Stack Kickoff with a $2 million guarantee and the $450 Almighty Stack with a $1 million guarantee. I really enjoy short-handed no-limit hold'em tournaments too, so the $1,090 Six Max with a $200,000 guarantee is always an event I get a little extra excited for. I’m sad that I’m going to miss the $535 BorgataPoker.com heads-up event which is going to be played online Battleship-style in the event center because Paul Wasicka’s wedding is that day. I'm glad I’ll back in time for the new $2,150 PokerNews Cup NL postlim event, though. It’s nice having a decent-sized event after the main event is over so that you don’t just feel like all hope is lost the moment they take your last chip in the main event." Stout also is particularly excited about the WPT Borgata Poker Open Championship, despite not having success in this tournament in the past. "Speaking of the main event, I suppose it’s obvious what event I look forward to the most on the schedule," proclaimed Stout. "This is one of Borgata’s two biggest events of the year by far: a World Poker Tour event that boasts a $3 million guaranteed prize pool for just a $3,500 buy-in. I believe I’ve fired about 400 bullets at these $3500’s over the years and am relatively sure I’ve cashed for $0 all told, but I continue to hold out hope and get excited for this event by blocking those stats out of my head." Colache, however, will be a bit more selective in which events she plays due to her tight schedule. "I have a pretty tight schedule and can usually only play a few events for each open," Colache explained. "I always look to get the most value out of my buy-ins, so the opening event is a must for me. I will also try to sneak in a survivor and a black chip bounty and fingers crossed will be able to work in the main event for this upcoming series." Haberman Jr and Colache plan to save a few bucks by playing online satellites and sub-satellites starting on BorgataPoker.com, which kick off on August 21. You can read more here about satellites to many of the events on the schedule including to the $3,500 Borgata Poker Open Championship and the $2,150 PokerNews Cup. 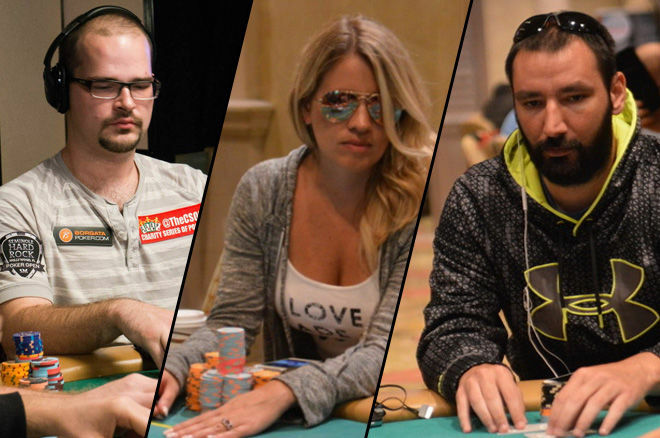 "I will definitely be playing a bunch of online satellites," Haberman Jr shared, while Colache added when asked if she will also play online satellites that, "Absolutely, that's an automatic for me. The ability to qualify online is huge for me due to my schedule. Borgata online gives me a commodity back 'time'. Borgata's online qualifiers are pretty awesome, they provide maximum value and are easy to navigate through while being available at your fingertips in the comfort of your home." 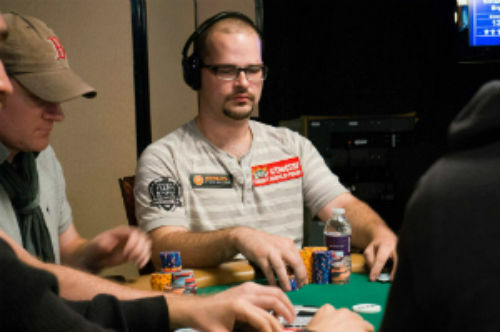 While in the past Stout has played in live satellites, he plans to use his time purely for the featured events on the Borgata Poker Open schedule. "I occasionally play a live satellite or two if I’m not in any other events and not in the mood to go out or am just itching to play, but I don’t play them too often because I’ve been playing fewer hours in general," admitted Stout. "I’m trying to find more balance in my life and spend a lot of my time working on upcoming events as the Founder and President of the Charity Series of Poker. I’ve also been putting in a lot of hours on BorgataPoker.com when I’m in NJ. I really want to be hungry for the win and have the desire needed to compete at a high level if I’m going to enter an event at all so I usually just save it for the other events." However, Stout shared with us that like Haberman Jr and Colache he will try to qualify for some of the bigger events online at BorgataPoker.com, which is something anyone can do as long as they are within the borders of New Jersey while playing. "I'll definitely be playing some of the online satellites, especially the $400's that award direct entry to the main event," shared Stout. Stout added that satellites are a great path to anyone looking to play in an event they normally can't afford. "[Players interested in satellites should] figure out what events they really want to play and then start firing some satellites on BorgataPoker.com," Stout commented. "If you dream of winning a World Poker Tour event but can’t afford to spend the time and/or money going to Borgata and playing satellites you can buy into satellites for as little as $5 and eventually win your $3,500 seat. I always loved the 'dollar and a dream' stories that online poker brought about, starting with Chris Moneymaker of course, and it’s great to see regulated online poker giving the people of New Jersey that opportunity once again." Colache offered similar advice sharing that players should, "Take a close look at all the available qualifiers for the events you are looking to qualify into, set a schedule for yourself, and manage the amount of qualifiers to ensure you are getting max value for your efforts." Not everyone is aware that our first PokerNews Cup in the United States is part of the upcoming Borgata Poker Open, however, those that are appear to be very excited. While Colache was unaware that our tournament would be part of the schedule sharing, "Wow, honestly I didn't know that was happening." Now that she knows, she is excited and isn't surprised that the Borgata is "staying ahead of the curve" by being the first to host a US-based PokerNews Cup stating, "I think that would be a huge partnership and what an exciting opportunity to be able to play in that event. Borgata always seems to stay ahead of the curve, and is constantly evolving with the game and their players - so I really shouldn't be surprised that this opportunity presented itself." Haberman Jr also believes that the PokerNews Cup being hosted at the Borgata is great and believes it will be an event to remember. "I think it's great that PokerNews and Borgata have teamed up, as two stronger brands in the industry, I imagine they will put on a great event together," said Haberman. Stout also is excited to see what the PokerNews Cup is all about and believes that the timing of it taking place during the Borgata Poker Open Championship provides players who were eliminated early another chance for a big score. "I’m really excited to see what PokerNews can bring to the table and especially love that it’s a separate, stand-alone event that will give players who’ve been eliminated from the main event another opportunity to have a big score," said Stout. "Borgata has also traditionally done all of their marketing and reporting in-house, so it’ll be interesting to see how the partnership for this event works out and evolves. PokerNews is a great brand and hopefully they can help with the continued growth of Borgata’s tournaments." The Borgata is more than just about its world-class poker room. Outside the poker room there are many great restaurants, a world-class hotel, a fantastic casino, and a luxurious spa. When we asked Stout what he enjoys most about the Borgata, it wasn't an easy decision. However, due to his love of massages, the spa was on the top of his list. "I have to go with the spa, but it’s a close call," Stout shared. "I love massages and the therapists and facilities they have there are world-class just like everything else Borgata has to offer. Honorable mentions go to the new outdoor pool and beer garden, Bread and Butter, and Ben and Jerry’s." Meanwhile, Haberman Jr had a different take sharing that he loves that Borgata is on the marina and away from the busy boardwalk. 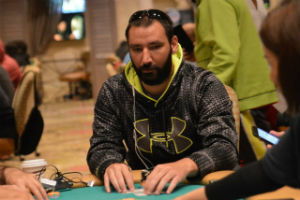 "My favorite thing about Borgata is that it is not on the boardwalk, sometimes Atlantic City gets a bad rep, but the Borgata isn't near the rest of the city, which is noticeable as soon as you walk in the doors, it's a great location with a lot of good places to get some food, drinks, and have some fun," shared Haberman Jr.
Borgata Poker Open and PokerNews Cup Qualifiers Begin August 21 Starting at Only $5!